SINCE reaching its best ever valuation since listing in mid-2015, shares in South32 have been under something of a correction, down about 13% between April and now. This is possibly owing to a first quarter weakening in manganese prices, a mineral it mines in the Northern Cape. There are grounds, however, for a re-look at the company, especially since it recorded cash of $1.5bn at the end of the first quarter. Some $500m of that has been earmarked for a share buy-back programme of which just over $100m has already been executed. Given, though, that the company reviews cash holdings over $500m as excess to its needs, and no longer sees an opportunity in buying the shares it doesn’t own in the Samancor Joint Venture it has with Anglo American, there’s the possibility of a year-end special or bumper dividend. “South32 still believes excess cash is a net cash position above $500m. The company ended 3QFY17 with a net cash balance of $1.5bn hence we believe a doubling of the buyback to $1bn or a special dividend is becoming an increasingly likely prospect,” said Macquarie in a recent report. 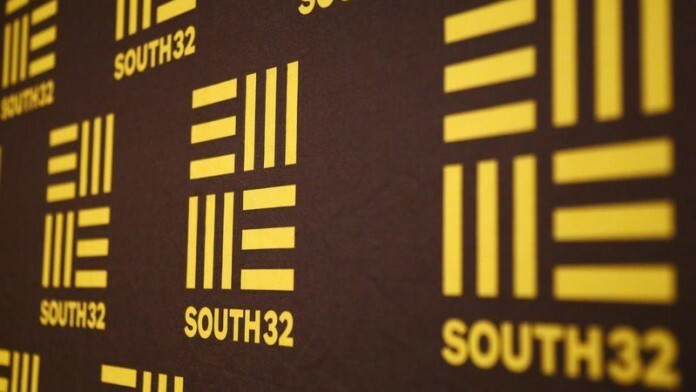 South32’s stated dividend policy is to return 40% of underlying earnings after capital expenditure. There’s also grounds for believing South32 is more protected against regulatory uncertainty than many of its peers in the South African mining space, especially changes to the mining charter through which, it is speculated, the government will demand black economic empowerment (BEE) to be lifted to 30% from the current 25%. That’s because South32’s aluminium smelting facilities in Richards Bay are considered to be industrial assets and therefore don’t fall under the remit of the Department of Mineral Resources’ Mining Charter. The other assets are the manganese mines and furnaces held in Samancor – which currently has a 25% BEE status already. About 42% of South32’s net asset value is located in Africa (mostly South Africa with the only other asset being the Mozal aluminium smelter in Mozambique). Of this, 19% is held in the smelting assets and a further 5% in the manganese. The only major exposure on this front is South32’s coal assets which only have direct BEE of 8%. This relatively low level of BEE ownership has its roots in BHP Billiton which was the owner of the assets until demerged into South32. It was BHP’s strategy to sell mines to black-owned buyers rather than invite BEE partners to invest in its assets. It sold, for instance, the Optimum and Koornfontein coal mines. If the South African government sticks by comments that it will not recognise previous BEE deals if there has been a change in ownership – such as a demerger – it’s possible that South32’s only direct BEE holding is that held in its currently operated assets which are the Wolverfontein Mining Complex, Klipspruit and the Khutala mines, all in Mpumalanga province. But even at this level, the company is not heavily exposed to value leakage, according to a report by Goldman Sachs which calculates the net asset value of these mines at 18% of the group’s total value. It contends that even in a worse case scenario in which South32 has to move to BEE of 30% from 8%, the 22% stake difference that would be transferred represents about $400m on a net present value (NPV) basis. If 20% of this value was lost through transfer leakage, which frequently occurs in BEE structures (but which is difficult to calculate as a rule) the impact on NPV would be close to $80m, equal to about 2 Australian cents per share. “Thus whilst the sentiment around any move in the mining charter would be negative, the direct ‘valuation impact’ would appear to be relatively minimal,” Goldman Sachs concludes in its report.